As a teacher geek of reading and writing, I spend time learning new tools that enhance the teaching and learning of reading and writing. I look for tools that capture the creativity and interest of my students so that they can apply their reading and writing skills in authentic ways. I look for applications that allow me to differentiate for the learning needs and styles of the students I teach. A student who normally would grumble at any writing assignment, learns google search strategies to find information on his favorite boxers. He fills pages of sticky notes with his ideas, sticks them around the computer, and then reads from them to input his ideas on his wiki page. 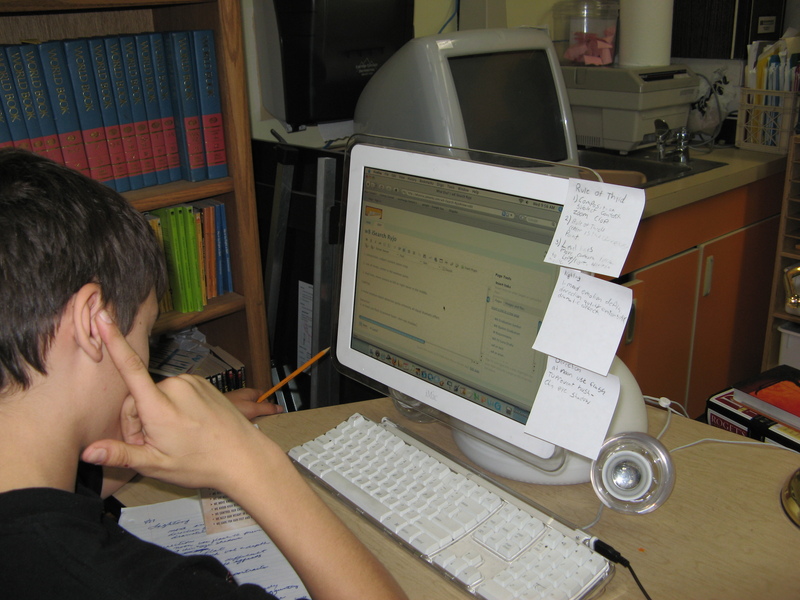 Students who would normally balk at reading and taking notes, transfer their highlights and annotations of research with Diigo into their PBWorks to synthesize into their own ideas so that others can learn from them. Students who hate writing essays, plan and create photo essays in Voice Thread on topics important to them. Students who normally would not share in a class discussion will share their ideas on blog comments and Voice Threads. And through all their work, they learn the etiquette of online participation while learning the online communication skills currently used in the work force. But all of this would not happen if it were not for the thoughtful and supportive people behind the scenes. 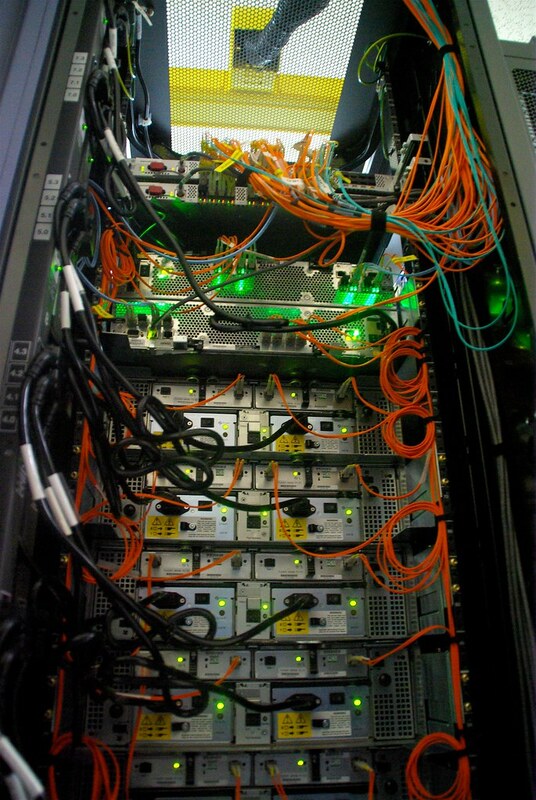 Think of all the wires and cables and servers and code that coalesce into a sweet stream of bytes onto our computer screens. Think of the tweaking by our technicians to allow our Google Apps, PBWorks wikis, Voice Threads, Animotos, Glogsters, blogs (Word Press, Blogger, Edublogs, Blogmeister, Nings), to pop up and animate, ready for input by teachers and students. And, that these applications are available when needed at just the right moment for each student to transfer his/her thoughts and images into creative and accurate information for the analysis by others. I’ve had several instances this year when a site wouldn’t work, or the system seemed slow, and a simple call or email to the technicians resulted in quick access to what the students and I needed for research, reading, writing, etc. So, I’d like to thank all those amazing people behind the scenes who keep our cloud computing as clear as a bright sky. In my district, thanks to Pete, Adam, and Steve for their encouraging technical wizardry. The technicians at Edublogs along with Sue Waters were immensely helpful the one time I needed help there, and PBWorks support offered help when I had simple questions that needed a quick answer. Thanks, hidden helpers, for supporting teaching and learning.